You can start recycling your nail polish today. CHEMWISE offers the SMARTbeauty Pack a member of the SMARTpack® family developed specifically for nail polish recycling. Our nail polish recycling program has been refined and perfected over the years. 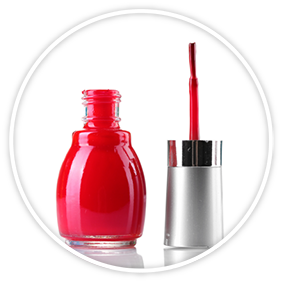 We are able to recycle the polish, the glass container, and the plastic applicator. 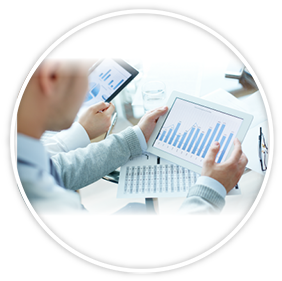 Every customer has access to our custom developed SMARTsystem. This is your dashboard to all things recycling CHEMWISE. You’ll be able to view vital recycling statistics (qualifying accounts), order SMARTpacks, manage store locations (qualifying accounts), view history, download and print certificates of recycling, track SMARTpacks, and view your transparency and sustainability reports (qualifying accounts). So many awesome features packed into our custom built recycling platform. These packs are designed to make recycling, storing, and transporting nail polish as simple as can be! Really, it’s as easy as placing an order then just putting your polish inside the kit and sending it back to us. With reliable UPS shipping and an innovative suite of online resources that provide insight to your recycling activities, you can guarantee that recycling your polish has never been this innovative or fun! Each SMARTpack comes with access to your very own SMARTaccount™. You have the ability to print, view, download, and save certificates of recycling, recycling reports and statistics (for qualifying accounts). Through this innovative system, you can share your sustainable activities with the world through Facebook and Twitter (where available). 10 inches wide by 10 inches long by 10 inches tall and weighs 2 pounds. Contains everything you need to recycle your unwanted polish. An easy to understand instruction sheet is included with every SMARTpack purchased. A pre-paid return postage label is included for your convenience.